I am a kind of a person who needs routine and traditions in my life (Therefore also in sport.). Every year I choose to take a part in certain running events. My favorites are Viljandi järvejooks (Race Round Lake Viljandi), Viljandi linnajooks(City Run Viljandi), Tallinna Maraton( Tallinn Marathon) and Südasuve Maraton(Midsummer Marathon). 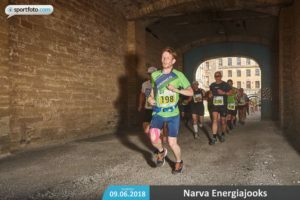 Unfortunately, this year the organizer decided to cancel The Südasuve Maraton (Midsummer’s marathon), so I had to find another event for replacement. It is known saying that “nature abhors a vacuum”. I was drawing circles on the map with my finger and I realized that Estonia has a nice city called Narva in which a suitable event (Narva Energiajooks – Narva Energy Run) is held. My “running legs” have not brought me to Narva before so now I have a reason to draw new running paths on the map. After the race around Lake Viljandi, I planned to participate in Rapla Selver Big Run. I had big goals for that run but not all the wishes are meant to come true. I managed to get ill and my body was really exhausted. – Close enough that I had to almost cancel out the competition in Narva. 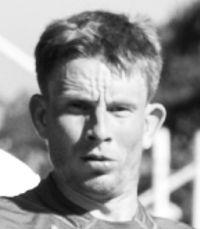 Luckily I recovered enough, but the illness had left a mark on my physical form. Ride to the frontier town took part on the same competition morning and really nice about it was that the organizers offered even the transportation, we were gathered in the bus. The weather was also favorable, and you could feel a slight breeze on the cheeks. On the other hand when one would like to have a reason to whine then the weather could have still been few degrees cooler. – Because it is not the most comfortable to run with too warm weather. The launch was at 11 O’clock so the competition had started. Before the run I had the goal to run 1 km in not more than 5 minutes. The track was mainly wandering on the shore of the river Narva and on the streets of Narva. My favorite part of the track was on the territory of Kreenholm manufacture. This part had historical atmosphere. In addition, the territory has a local rock band that was invited to give a concert. Irrespective of all that “sightseeing” I still had to watch my steps because loose gritstones made it slippery. Anyways, I managed to be angry and disappointed at myself. The track was very much straight ahead, this straightness made me tired both physically and mentally. Before the end about 4 km I decided to have a walk. So, I violated my own rule about spending 5 min per km. The saddest part is that I worked hard whole winter and made effort but this one week of illness just spoiled “the goods”.